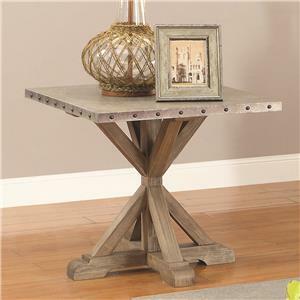 An industrial styled base with a weathered finish combines with a white marble table top to create a unique relaxed vintage style in this end table. 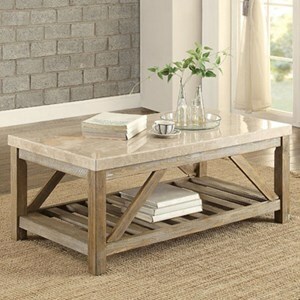 The rectangular table top gives you plenty of room for a lamp and a good book or drink. 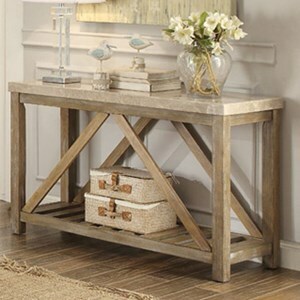 An open slat shelf provides additional space to show off any accents. 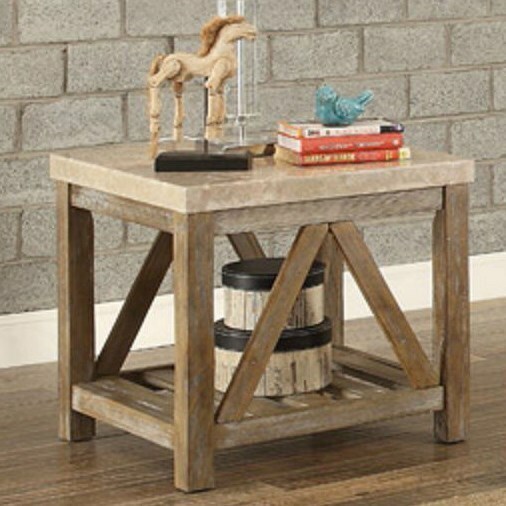 The Ridley Relaxed Vintage End Table with White Marble Top by Homelegance at Value City Furniture in the New Jersey, NJ, Staten Island, Hoboken area. Product availability may vary. Contact us for the most current availability on this product. Description: Top White marble top. 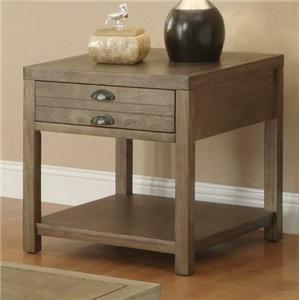 Browse other items in the Ridley collection from Value City Furniture in the New Jersey, NJ, Staten Island, Hoboken area.